Ukraine will extradite suspects in the terrorist attacks. Over the past few days, Odesa courts released from custody eight pro-Russian separatists who will be further swapped for the captured Ukrainian military, held in the "DPR" and "LPR", the local prosecutor's office said on 15 December. The press secretary of the prosecutors' office in Odesa Region Inna Verba on the TV channel 112-Ukraine said that Russian Evgenyi Mefedov, suspected of the Odesa unrests in 2 May, 2014, was released from jail for exchange. "A few days previously, eight people suspected and accused in a number of criminal proceedings into the crimes against national security, territorial integrity, and public order were released from police custody," Verba said. "They will be exchanged for Ukrainian prisoners of war and other persons illegally held in self-proclaimed "republics" she said. 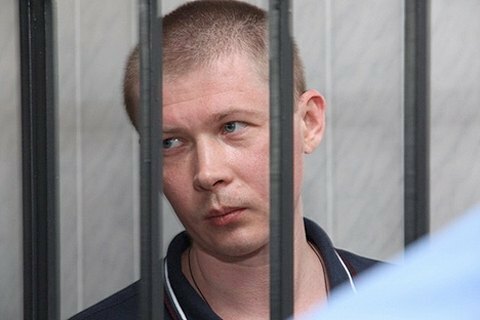 Earlier, Artemovsk City Court in Donetsk Region convicted Russian citizen Ruslan Gadzhiev to 15 years in prison for taking part in the fighting on the side of the separatists in Donbas. According to some information, he will also be exchanged. The Tripartite Contact Group agreed at the talks in Minsk on the exchange of prisoners between Ukraine, the "DPR" and "LPR" in two stages. At the first stage, "DPR" and "LPR" should release 74 Ukrainian prisoners in exchange for Ukraine releasing 306 separatists. This should happen before the New Year and Christmas holidays. At the second stage, Ukraine is to swap 80 imprisoned separatists for 20 prisoners of war illegally held by DPR and LPR.